This is my 175th upload so I thought I would post something special! I have been saving this for a while haha. This F40 looked beautiful with the old style buildings in the back. I was so happy to get this shot. It was about an hour before it got dark. I hope everyone enjoys one of the best Ferrari's ever made! if u see the before and after shot u will know this is not parked here randomly, marc did alot of cloning. 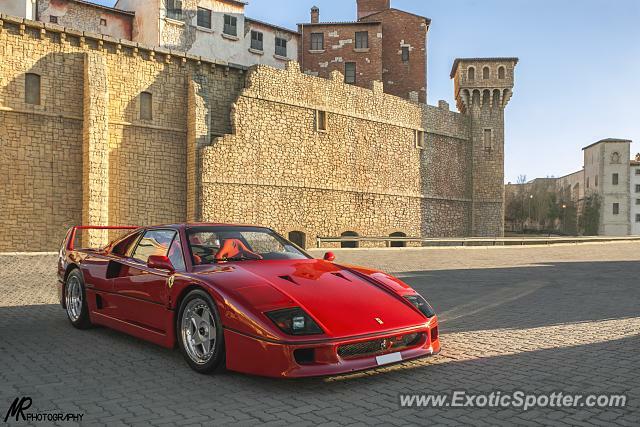 Awesome shot buddy the castle really compliments the f40 really well amazing work! Amazing shot of an amazing car! Incredible spotting! L/F from me! was waiting for u to upload this. nice one!!! I just remembered that I'm pretty sure that I've seen an F40 in Topeka before. Too soon to speculate Editors Choice? Incredible shot! My favourite car ever with a great background, definitely one of the best pictures on the site!